Stormtech is an Australian owned company that provides Architectural Grates and Drains for bathrooms, thresholds, paved concrete areas, balconies, and pools. 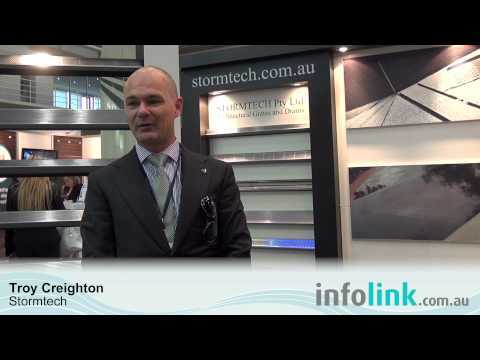 Stormtech was a Winner of DesignMark 2004 Australian Design Awards. How do I know if my plumber has installed the Stormtech correctly? Please contact us and we will assist you in this. No. It does however tea stain. Tea staining is a biological contamination that superficially looks like rust (brown colour patina in spots or overall). This is easily remedied by the application of a mild acid. Generally domestic stainless steel cleaner is sufficient, (even lemon juice diluted in warm water should do). If stainless steel was stain-proof it would be called Stain proof steel. Stainless steel is as its’ name suggests - stains less. What does all this mean? If you want it shiny & new, give it a clean. I live near the beach. Will Stormtech grates go rusty? No. The majority of our products are 316 stainless steel, so if they are regularly cleaned (i.e. when the look dirty or off-colour) they will last. Where do I put Stormtech drains? Typically for a bathroom application, it is best on the wall opposite the door so there is no ‘cross fall’ at the entrance to the bathroom. Please contact Stormtech for further advice. Are Stormtech drains made in Australia? Not only is it made in Australia, but it is an Australian invention, owned by Australians, and exported! How good is that! How long can Stormtech drains be? Very simply, as long as you need, no joke. How shallow can Stormtech drains be? 22.5mm is the absolute shallowest in standard products. Who was the first in the world to develop narrow shallow linear drainage? Do Stormtech products comply with AS/NZS 3500? Yes, please contact Stormtech for your specific requirements as local and state requirements vary. Do Stormtech products comply with the BCA (any state in Australia)? 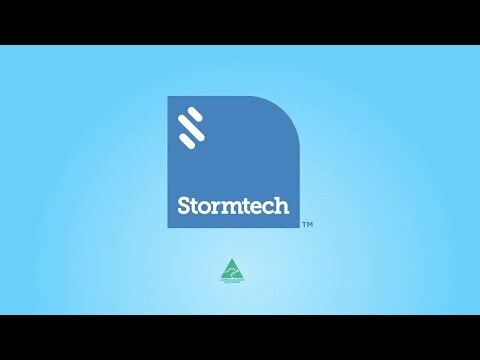 Does Stormtech have a WaterMark? 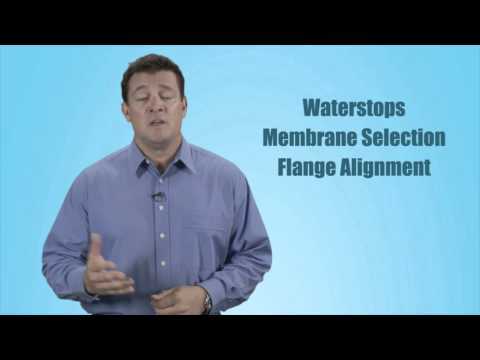 How do I purchase my chosen Stormtech drainage system?